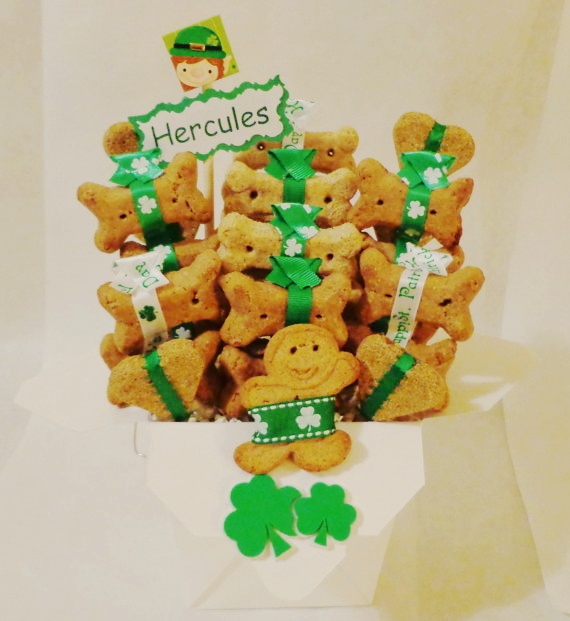 This St. Patricks Day treat gift basket contains 28-30 biscuits wrapped in shamrock and Happy St. Patrick’s Day ribbon with green accent ribbon and is presented in a Chinese take out container. 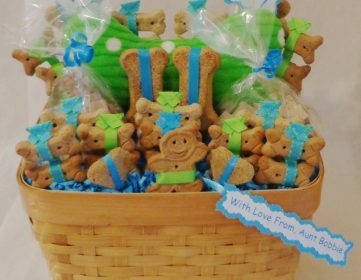 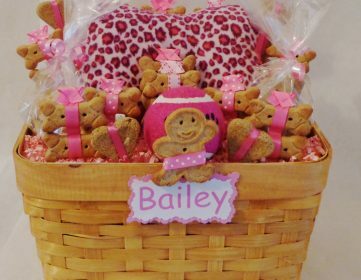 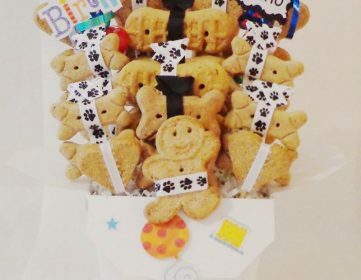 SKU: Dog St. Patricks Gift Baskets. 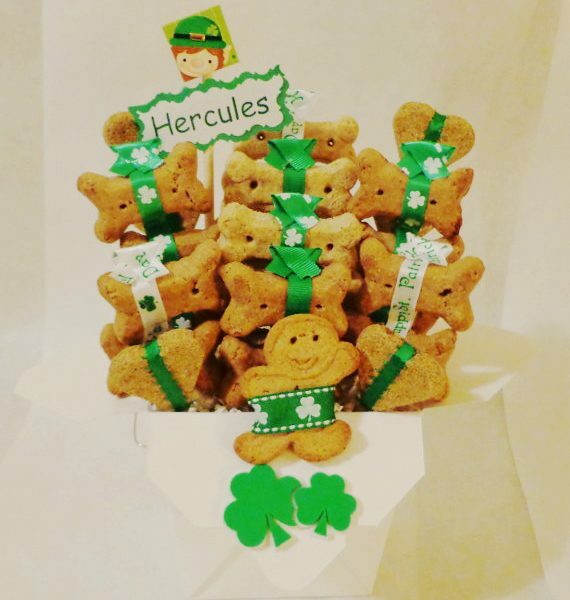 Categories: Dog, Holiday, St. Patrick's Day.